Creed II (film, 2018). A 2018 American sports drama film with "PG-13" rating by Warner Bros. Pictures. Directed by Steven Caple Jr. Official Trailer. 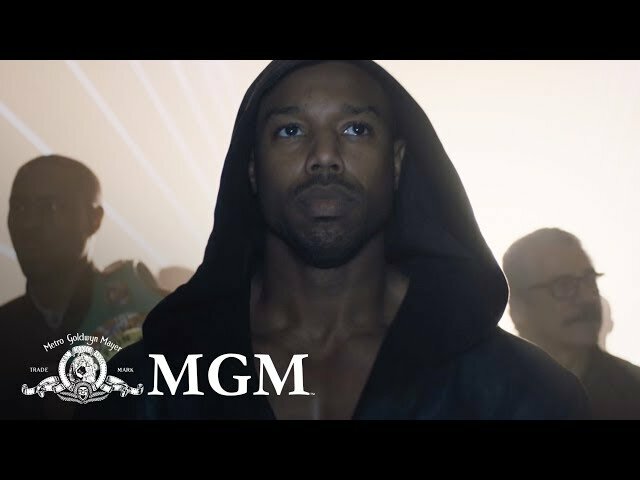 Creed II is a 2018 American sports drama film directed by Steven Caple Jr..
CREED II | Official Trailer 2 | MGM. Three years after his loss to "Pretty" Ricky Conlan, Adonis Creed scores a string of victories, culminating in a victory over Danny "Stuntman" Wheeler to win the WBC World Heavyweight Championship. Now a worldwide star, Adonis proposes to his girlfriend, Bianca Taylor, who agrees to marry him. When Bianca suggests starting a new life together in Los Angeles, Adonis is reluctant to leave his life in Philadelphia behind. Meanwhile, Ivan Drago, a former Soviet boxer who killed Adonis' father, Apollo Creed, in the ring thirty-three years earlier, sees an opportunity to regain the glory that was taken from him as a result of his loss to Rocky Balboa in Moscow later that same year by pitting his son, Viktor Drago (with the assistance of Buddy Marcelle, a promoter who has followed Viktor's career closely), against Adonis. When Rocky refuses to support Adonis's decision to accept Viktor's challenge, Adonis, feeling betrayed, decides to leave for Los Angeles. Adonis and Bianca settle down in a luxurious apartment in Los Angeles close to Adonis's adoptive mother, and Apollo's widow, Mary Anne. As Adonis and Bianca adjust to their new life on the West Coast and prepare for the upcoming match with Viktor, Bianca learns that she is pregnant. Adonis recruits Tony "Little Duke" Evers, son of his father's trainer and later Rocky's trainer, but overwhelmed with all the recent developments in his life, he rushes into the match, getting himself badly injured. Viktor is disqualified for hitting Adonis while he is down allowing Adonis to retain the World Heavyweight Championship. Viktor becomes extremely popular in Russia and wins a series of fights given top billing. Principal photography began March 2018. The film Creed II was scheduled to be released by Warner Bros. Pictures on November 14, 2018 (Lincoln Center), on November 21, 2018 (United States), on November 30, 2018 (United Kingdom) and on January 24, 2019 (Germany). The duration of the film is 130 minutes. With a budget of $50 million, the film grossed over $214 million. Creed II got high rating from critics. The audience also likes the film. Audiences polled by CinemaScore gave the film an average grade of "A" on a scale ranging from A+ to F.